Voting for the Welsh Labour deputy leadership contest closes at noon today. 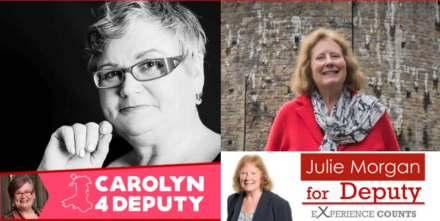 The race between MP for Swansea East Carolyn Harris and AM for Cardiff North Julie Morgan has centred around the candidates’ preferred voting system for the very election they have been fighting. Welsh Labour still uses an electoral college system, sorting votes into three: affiliated groups; MPs, MEPs and AMs; party members. Some members can cast seven votes – for instance – by virtue of having joined the Fabian Society, trade unions, etc, while Julie Morgan points out that her vote as an Assembly Member is worth “400 times more” than a member’s vote. Both women are renowned for their strong campaigning skills: Harris on fixed odds betting terminals and scrapping child funeral fees; Morgan on women’s rights issues and her left-wing voting record while MP for Cardiff North during the Blair years. But Morgan has been running mainly on her support for a change to one-member-one-vote, such that the election has become a proxy referendum on OMOV. Although the change can’t actually be implemented without the majority on the Welsh executive committee switching to the Left’s favour, there’s a lot of anger about the current voting system amongst Labour members in Wales. It’s likely Morgan will do best amongst ordinary party members, Harris is set to win the section made up of elected representatives, and the affiliated votes are up for grabs. A difficult one to call.